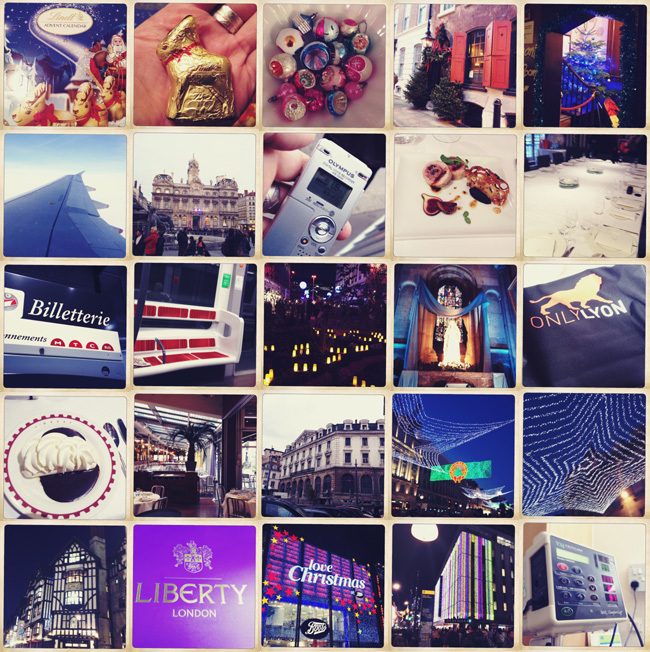 From top: Advent calendar | Vintage baubles | Dennis Sever's House - amazing | Christmas in London | Flying to Lyon | Lyon for work | Interviewing designers | Working lunches | Travelling in France | The Fete des Lumieres | More working lunches | Regent's Street christmas lights | Liberty | Oxford Street christmas lights | My boyfriend has an operation on his arm... not so festive! 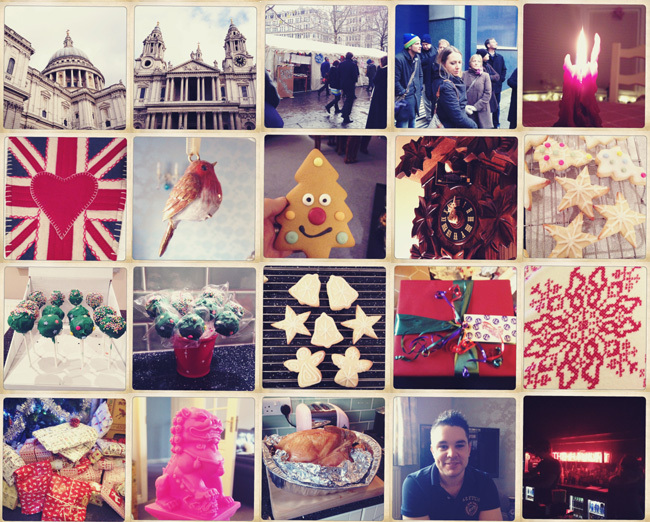 From top: St Pauls, London | Walking through Occupy London | Work christmas party - Jack the Ripper walking tour | Candles and decorations | Christmas gingerbread! | The cuckoo clock | Christmas baking - cookies and cake pops | Presents | Christmassy PJs | Dog toy from Hong Kong in the form of a Foo Dog | Christmas dinner | My brother, home from Hong Kong for christmas | NYE - Hello 2012! Lily says: Happy New Year! Sorry I have been a little AWOL recently - December was rather jam-packed and on top of all you can see above, I was also involved in a car accident on 27 December that left me rather brusied and shaken. Slowly getting back to normal now though so blogging should hopefully resume! Hope you all had wonderful Christmasses. So sorry to hear about your car accident :( Lovely pics as always!